St Johnstone's McDiarmid Park will host the Petrofac Training Cup final between Alloa and Livingston on 5 April. BBC ALBA will provide live coverage of the match, with a 16:05 GMT kick-off, along with BBC Radio Scotland. Alloa reached the final with a remarkable victory over Rangers, the Wasps coming back from two goals down to win 3-2 in December. 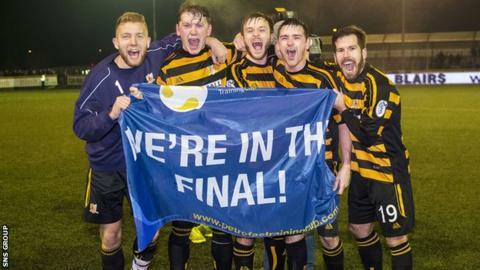 Livingston won their semi-final following a penalty shoot-out success against Stranraer.